This is Hokkaido’s first quadruple-stage theater. 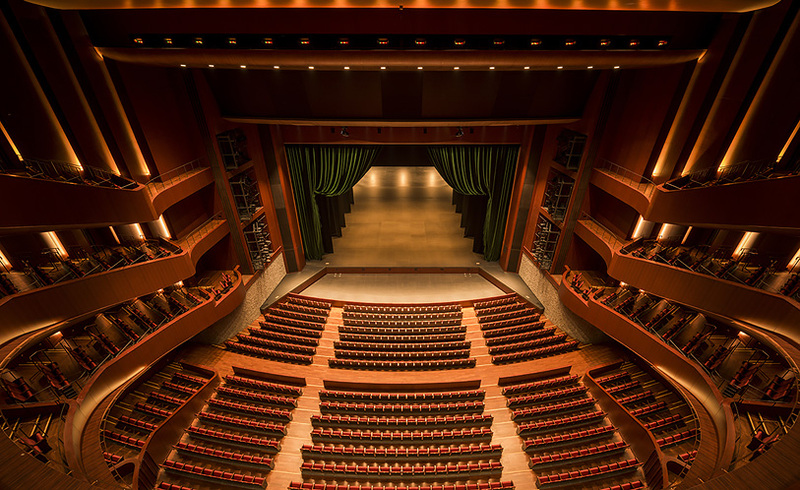 With 2,302 seats, it’s ideal for a diverse array of productions in various genres, including operas, ballets, large-scale musicals, theater performances, orchestra concerts (using an acoustical shell system), and concerts of Japanese and other pop music. The theater is also available for conventions, matriculation ceremonies and other events. The Creative Studio is similar in size to the main stage of the theater and is equipped with 175 movable audience seats, which makes it an ideal venue for theatrical productions, workshops, presentation meetings and other events. It can also be used as a practice room by ballet, dance and music organizations. 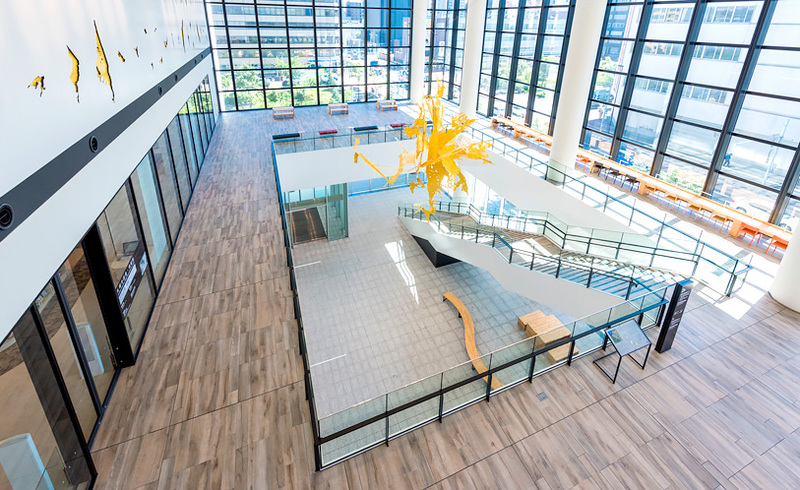 This center is a hub dedicated to supporting and advancing cultural and artistic activities in Sapporo by connecting local people, materials and events. It provides venues for exhibitions, concerts, workshops and various other projects. It also offers consultation and information services for cultural and artistic activities. 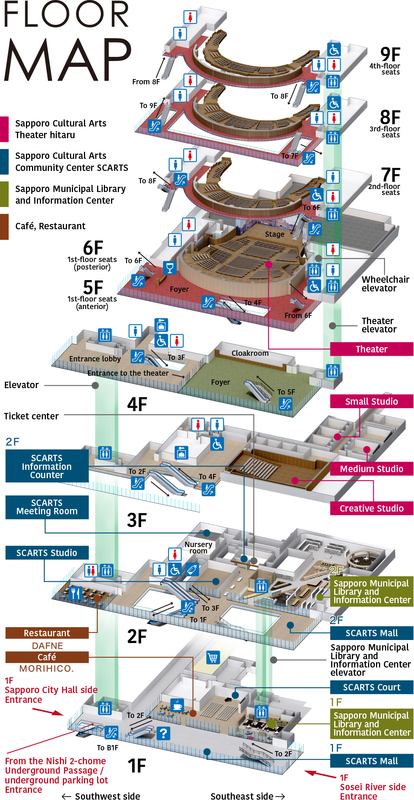 SCARTS consists of three facilities. The SCARTS Court is an open space ideal for exhibitions, concerts, lecture meetings and various other uses. The SCARTS Studio is a versatile glass-walled space ideal for seminars and workshops. And the SCARTS Mall is an indoor space with a high ceiling and a liberating atmosphere ideal for flea markets, PR exhibitions, product fairs and other events. 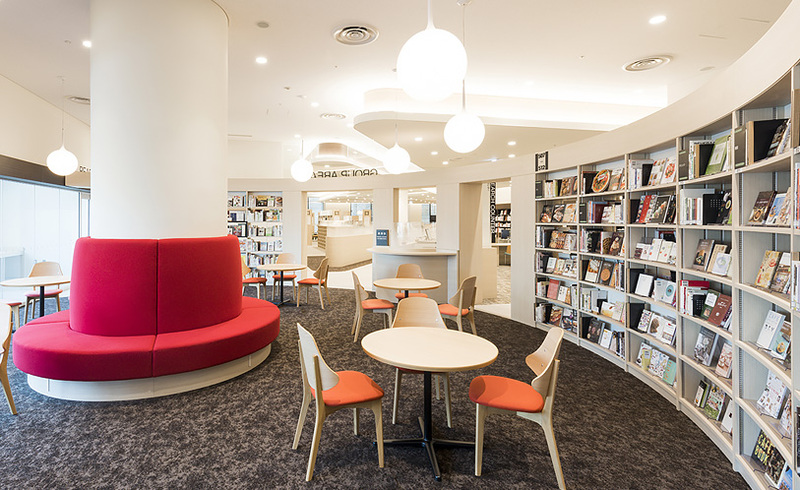 Unlike previous libraries in Sapporo, which focus on lending services, this solution-oriented library focuses on providing information and reference services. Specializing in work, life and art, this library has books and other publications that help visitors find solutions to career and daily life issues. It does not lend out materials, so the latest information is readily available any time at the center. 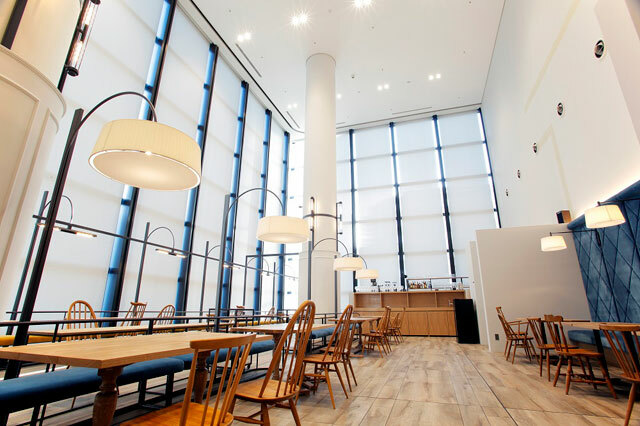 The café and restaurant are operated by Atelier Morihiko based on the concept of “coffee and art.” They’re great places to relax in an artistic atmosphere for a one-of-a-kind time. 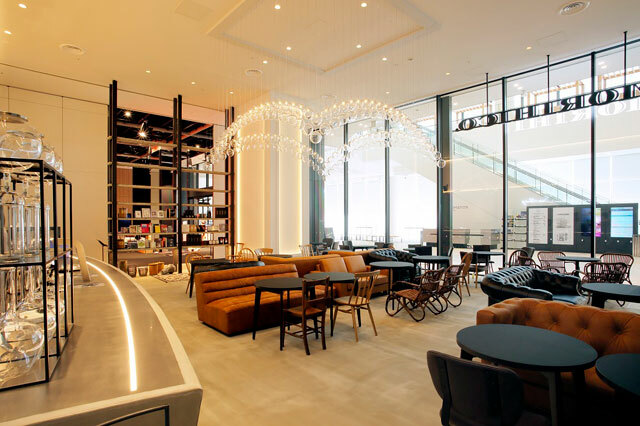 Visitors may bring drinks from the café to the library on the same floor or take books from the library to the café for a comfortable experience. For more information about MORIHICO., visit the website below.